If you’re like me, you always want to be drinking the coffee best suited to your tastes. With the popularizing of various coffee methods in recent years, in this case Chemex and French press, you may be wondering what might be best for you. Now, obviously we don’t all have the ability to go out and try coffee brewed from every possible method, so here at Gamble Bay Coffee, we are dedicated to providing you all with the most important knowledge about each and every method, so that you are always drinking the coffee that you love the most. How are Chemex and French Press Different? Both of these methods take a bit of time to produce and they have their own specific methods. Chemex coffee requires a little more attentive work throughout the whole process, whereas French press coffee, depending on how strong you like it and how much you are making, can take a bit longer or require a bit more attention. While both of these methods give you a good amount of control as to how the coffee comes out, I believe a Chemex Coffeemaker does more so, as the filter reqirement means you can change filter size and can have finer ground coffee than you could with a French press. French presses have a wider variety of materials the press can be made from, whereas the Chemex only uses glass. This might seem insignificant, but the material the press is made out of can determine whether or not it leaves a plastic-ish taste behind or not. Chemex coffee is a method derived from drip coffee, so the two methods are similar, but vary somewhat. This means that the Chemex coffee is generally clean and smooth. French press coffee, on the other hand, is typically full of flavor and has a bolder taste to it than Chemex coffee does. Not to mention that, because of the lack of the filter, the finer grains of your coffee are allowed to flow through and this gives French press coffee more texture to it than Chemex coffee. Now let’s look at these two methods on an individual level and see what makes them unique. Is Chemex Coffee Better Than French Press Coffee? From a general standpoint, I would say no, but for my own personal taste, I would say yes. Chemex coffee is a lot like regular coffee you would get from your household coffee maker, with a bonus. Chemex coffee is one of the cleanest and smoothest forms of coffee you can brew. It uses a thick filter and drips slowly through a fine grind to provide the right balance of caffeine and flavor with texture. 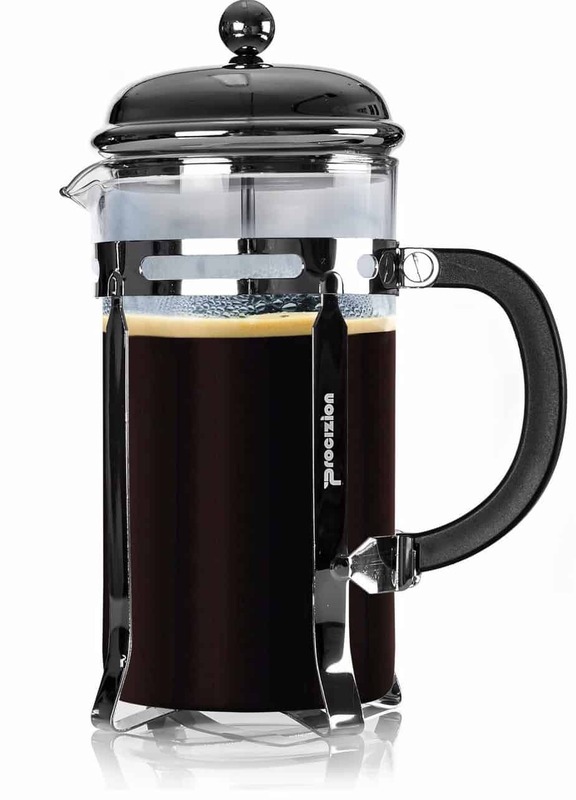 French press coffee is much more intended for people who enjoy a fuller, bolder taste, or for when you’re having a sluggish morning and need to get going more quickly than Chemex allows. While some people may not be able to handle this, it is definitely worth trying on those tough mornings. Chemex Coffeemakers were invented/improvised from a chemistry beaker. Every step of the process is done in the Chemex brewer, rather than having a separate server and carafe. I think this quirk makes them really unique, as they weren’t invented in a cafe, they were invented by a chemist. Chemex coffee is one of the only methods that provide a nearly clean cup of coffee, far more so than any other method. Personally, I enjoy having the oils and such in my coffee, but this method of making coffee is much better than most conventional methods. Because of the thicker filter, the Chemex Coffeemakers require a specific grind level. Although you can experiment with different grind levels, some may take longer or go quicker, depending on whether it is thicker or finer.The grind of your coffee needs to be quite fine, more so than that of French press, but not so much that the grind looks like sand. This part is very important as it prevents the water from pouring through too fast and not bringing any coffee through, at all. Most aspects of using this method can be experimented with to change the outcome. However, the recommended temperature is around 90-98 degrees Celsius. The filters are typically 30% heavier than an average filter. Brewing Chemex coffee will, on average, only take about 3 to 5 minutes. 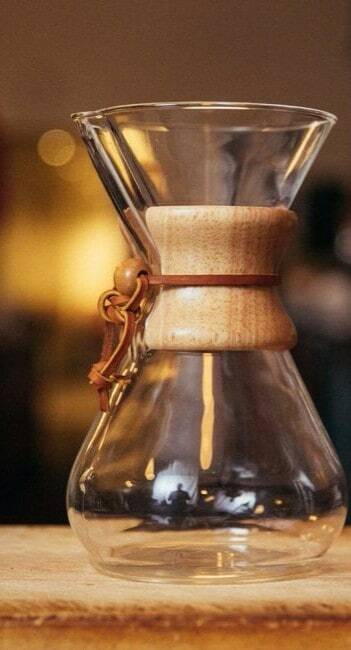 So, overall, I would say that using a Chemex Coffeemaker could be a much better alternative to French press coffee to those of you that prefer to have clean, smooth coffee. Is French Press Better Than Chemex? Overall, I would have to say no. I think it is far superior, personally, for many reasons, but this comparison isn’t meant to be biased. French press coffee is some of the best tasting coffee you can make. Depending on how you prefer your coffee, this can require a good bit of patience to really brew it to perfection. The reason the process requires so much patience is that most grocery stores don’t sell the right kind of coffee grinds to make it. French press requires the beans to be ground to a specific coarseness so that the coffee is still clean enough to drink while sill allowing the water to get the most out of the beans. This coffee is also quite healthy compared to many other coffee brewing methods. For one, being that there is no paper filter, as there is with the Chemex Coffeemaker, the French press coffee retains many of the minerals and oils throughout the brew. So you are gaining many of the things in the coffee that makes it so healthy, as well as giving it such a bold taste. We know that spending a fortune on an automatic grinder and a fancy French press is not feasible for everyone, so for most people, a good manual grinder like this JavaPresse will work just fine. However, if you can spare the cash for an automatic grinder, and you are looking for something different, we have a page on grinders. The self-grinding also goes for Chemex coffee, although you don’t necessarily need to do so. The grinds help give a bold taste and texture to the coffee, while also giving it a natural “fresh coffee” fragrance that you just don’t get from regular brewing. The downside is that, for some people, this bold taste is a little too much. Although it is somewhat time-consuming to brew it, the satisfaction you feel from having a properly brewed cup of hot French press coffee makes it so worth it. If you like strong bold coffee with a satisfying aroma and an almost sweet taste, French press coffee will be the best decision for you. Keep in mind that many of the aspects of it may vary depending on what you do at each step. Chemex coffee will be for those of you who really prefer to be drinking something clean, that flows like water, rather than the consistency of the French press coffee. So, although you can’t really go wrong, either way, I would say that if you are willing to put in the work, French press coffee will definitely be more worth your time. ← Is Instant Coffee Bad For You?